fans of Marvel Comic’s Iron Man will probably going to dig this: a 1:2 scale Limited Edition Stealth Iron Man Legendary Scale Bust measuring a cool 10 inches (25.4 centimeters) tall. 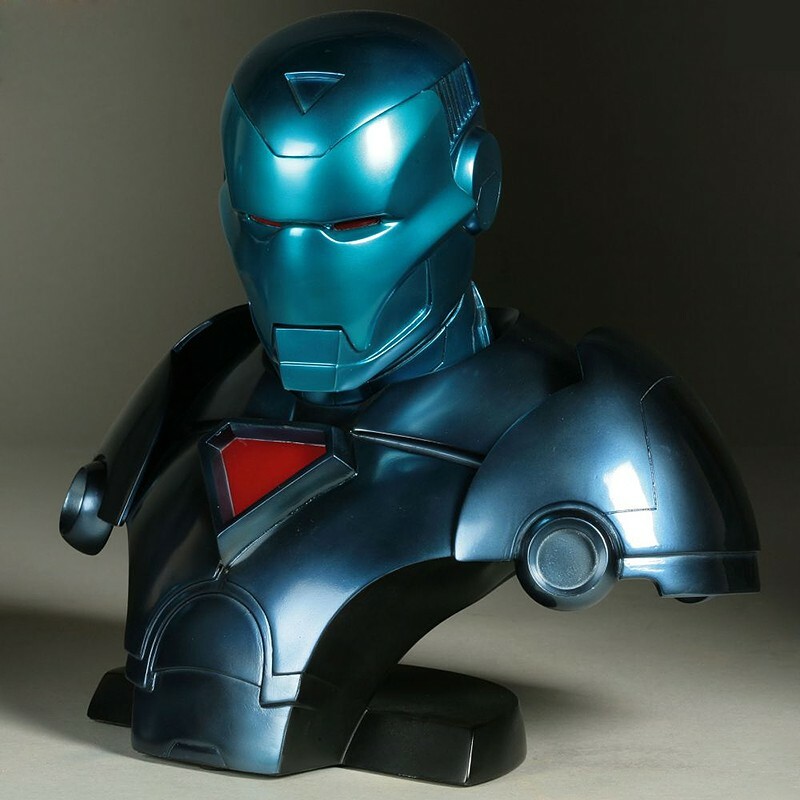 this particular item is Iron Man in blue ‘stealth’ armor that was first featured in Iron Man comic volume 1 issue #152. sculptured out of high quality polystone, this bust is hand finished and hand painted that results in each unit bearing its own unique quality and detail. 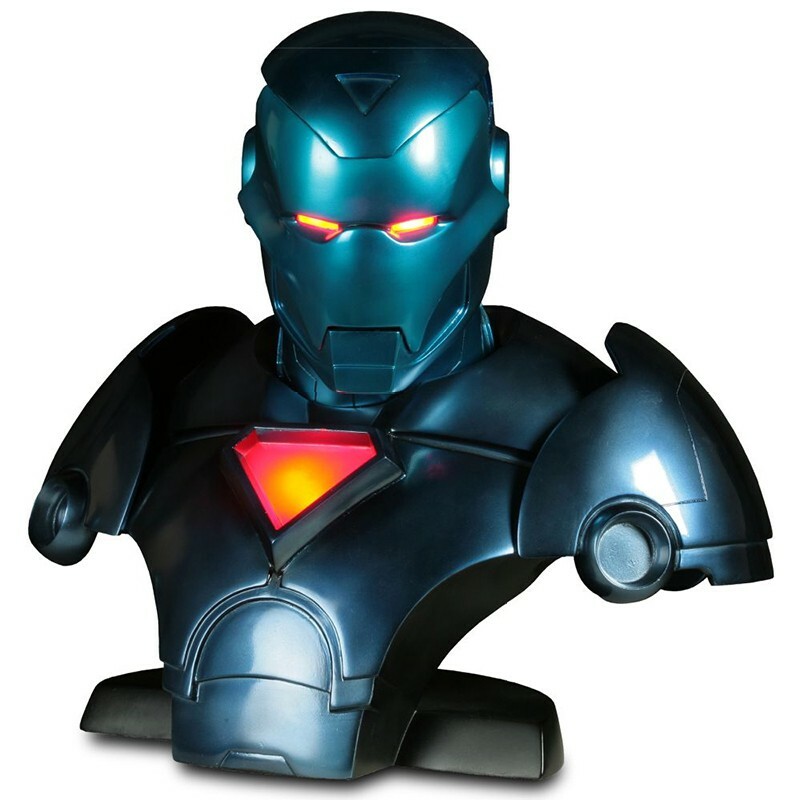 the Limited Edition Stealth Iron Man Legendary Scale Bust also features light up eyes and uni-beam. 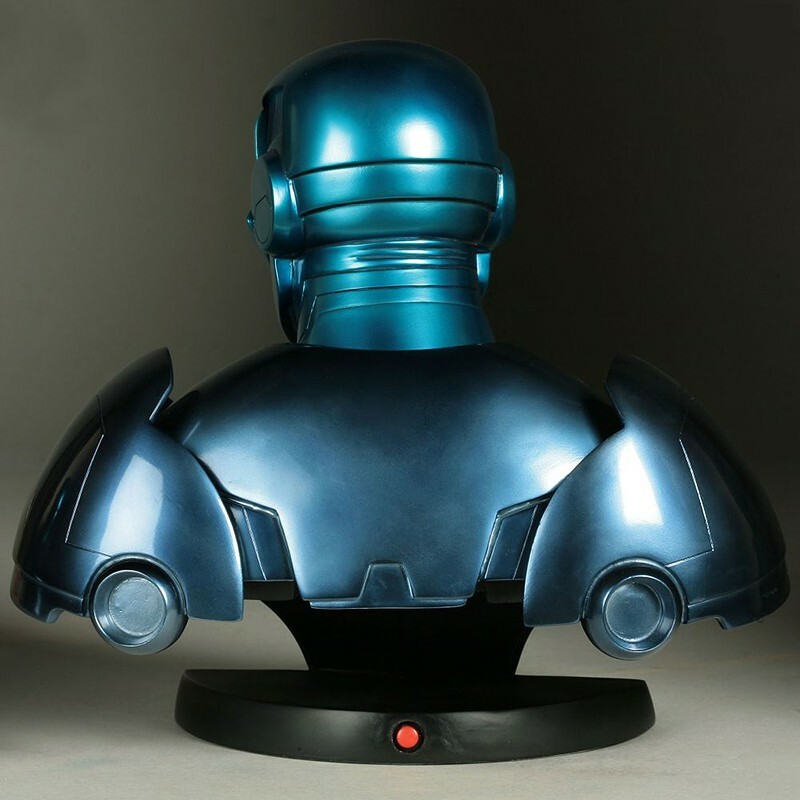 the Limited Edition Stealth Iron Man Legendary Scale Bust is limited to just 1,500 units and cost $199.50 each.